Central nervous system infections include a wide variety of clinical conditions and etiologies: meningitis, meningoencephalitis, encephalitis, brain and meningeal abscesses, and shunt infections. The focus of this chapter is meningitis. Infections are the result of hematogenous spread from a primary infection site, seeding from a parameningeal focus, reactivation from a latent site, trauma, or congenital defects in the central nervous system. central nervous system infections may be caused by a variety of bacteria, fungi, viruses, and parasites. The most common causes of bacterial meningitis include Streptococcus pneumoniae, Neisseria meningitides, Listeria monocytogenes, and Haemophilus influenzae. The critical first step in the acquisition of acute bacterial meningitis is nasopharyngeal colonization of the host by the bacterial pathogen. The bacteria must first attach themselves to nasopharyngeal epithelial cells through structures called lectins. The bacteria are then phagocytized across nonciliated columnar nasopharyngeal cells into the host's bloodstream. A common characteristic of most central nervous system bacterial pathogens (e.g., H. influenzae, Escherichia coli, and N. meningitidis) is the presence of an extensive polysaccharide capsule that is resistant to neutrophil phagocytosis and complement opsonization. The exact site and mechanism of bacterial invasion into the central nervous system is unknown; however, studies suggest that invasion into the subarachnoid space occurs by continuous exposure of the central nervous system to large bacterial innocula. Bacterial cell death then causes the release of cell wall components such as lipopolysaccharide, lipid A (endotoxin), lipoteichoic acid, teichoic acid, and peptidoglycan depending on whether the pathogen is gram-positive or gram-negative. These cell wall components cause capillary endothelial cells and central nervous system macrophages to release cytokines (interleukin-1 [IL-1], tumor necrosis factor, and other inflammatory mediators). Products of the cyclooxygenase-arachidonic acid pathway (prostaglandins and thromboxanes) and platelet activating factor are also released. platelet activating factor activates the coagulation cascade, and arachidonic acid metabolites stimulate vasodilatation. These lead to cerebral edema, elevated intracranial pressure, cerebrospinal fluid pleocytosis, disseminated intravascular coagulation, syndrome of inappropriate antidiuretic hormone secretion, decreased cerebral blood flow, cerebral ischemia, and death. The administration of fluids, electrolytes, antipyretics, analgesia, and other supportive measures are particularly important for patients presenting with acute bacterial meningitis. Empiric antimicrobial therapy should be instituted as soon as possible to eradicate the causative organism. Antimicrobial therapy should last at least 48 to 72 hours or until the diagnosis of bacterial meningitis can be ruled out. Antibiotic dosages for treatment of central nervous system infections must be maximized to optimize penetration to the site of infection. Menigitis caused by S. pneumoniae and H. influenzae is successfully treated with 10 to 14 days of antibiotic therapy. Meningitis caused by N. meningitides usually can be treated with a 7-day course. A longer course, 14 to 21 days, is recommended for patients infected with Listeria monocytogenes, group B streptococcus, and enteric gram-negative bacilli. Therapy should be individualized, and some patients may require longer courses. Isolation and identification of the causative agent can direct the selection of the most appropriate antimicrobial therapy for the patient. With increased meningeal inflammation, there will be greater antibiotic penetration. Problems of cerebrospinal fluid penetration may be overcome by direct instillation of antibiotics by intrathecal, intracisternal, or intraventricular routes of administration. In addition to antibiotics, dexamethasone is a commonly used therapy for the treatment of pediatric meningitis. Dexamethasone may cause a significant improvement in cerebrospinal fluid concentrations of glucose protein and lactate as well as a significantly lower incidence of neurologic sequela commonly associated with bacterial meningitis. The American Academy of Pediatrics suggests that the use of dexamethasone be considered for infants and children aged 2 months or older with pneumococcal meningitis and that it be given to those with H. influenzae meningitis. The commonly used intravenous (intravenous) dexamethasone dose is 0.15 mg/kg every 6 hours for 4 days. Alternatively, dexamethasone given 0.15 mg/kg every 6 hours for 2 days or 0.4 mg/kg every 12 hours for 2 days is equally effective and a potentially less toxic regimen. Dexamethasone should be administered prior to the first antibiotic dose, and serum hemoglobin and stool guaiac should be monitored for evidence of gastrointestinal bleeding. N. meningitidis meningitis is the leading cuase of bacterial meningitis in children and young adults in the United States. Most cases usually occur in the winter or spring, at a time when viral meningitis is relatively uncommon. a Escherichia coli, Klebsiella spp., Enterobacter spp. common. b Vancomycin use should be based on local incidence of penicillin-resistant S. pneumoniae and until cefotaxime or ceftriaxone minimum inhibitory concentration results are available. Approximately 10 to 14 days after the onset of the disease and despite successful treatment, the patient develops a characteristic immunologic reaction of fever, arthritis (usually involving large joints), and pericarditis. The synovial fluid is characterized by a large number of polymorphonuclear cells, elevated protein concentrations, and sterile cultures. Deafness unilaterally, or more commonly bilaterally, may develop early or late in the disease course. Approximately 50% of patients with meningococcal meningitis have purpuric lesions, petechiae, or both. Patients may have an obvious or subclinical picture of disseminated intravascular coagulation, which may progress to infarction of the adrenal glands and renal cortex and cause widespread thrombosis. Aggressive, early intervention with high-dose intravenous crystalline penicillin G, 50,000 units/kg every 4 hours, is usually recommended for treatment of N. meningitidis meningitis. Chloramphenicol may be used in place of penicillin G. Several third-generation cephalosporins (e.g., cefotaxime, ceftizoxime, ceftriaxone, and cefuroxime) approved for the treatment of meningitis are acceptable alternatives to penicillin G.
Close contacts of patients contracting N. meningitidis meningitis are at an increased risk of developing meningitis. Prophylaxis of contacts should be started without delay and, therefore, without the aid of culture and sensitivity studies. a Recommended doses for adults and pediatric patients with normal renal and/or hepatic function. b Pediatrics. c Incidence of resistance is 20% to 45% worldwide. d Clinical data are lacking, but linezolid may offer an alternative for the treatment of such infections. e Monitor drug levels in serum. a Recommended doses for adults and pediatric patients with normal renal and/or hepatic function. b Pediatrics. c Direct central nervous system administration may be added; see Table 35-6 for dosage. d Should be reserved for multidrug-resistant pseudomonal or Actinetobacter infections for which all other therapeutic options have been exhausted. e Monitor drug levels in serum. Adult patients should receive 600 mg of rifampin orally every 12 hours for 4 doses. Children 1 month to 12 years of age should receive 10 mg/kg of rifampin orally every 12 hours for 4 doses, and children younger than 1 month should receive 5 mg/kg orally every 12 hours for 4 doses. Pneumococcal meningitis occurs in the very young (less than 2 years of age) and the very old. The treatment of choice until susceptibility of the organism is known is the combination of vancomycin plus ceftriaxone. Penicillin may be used for drug-susceptible isolates with MICs of 0.06 mcg/mL or less. Treatment with intravenous penicillin G in adults with a penicillin-susceptible isolate and normal renal function usually results in a favorable outcome. However, a high percent of S. pneumoniae are either intermediately or highly resistant to penicillin. Vancomycin in combination with ceftriaxone is probably the most effective regimen for penicillin-resistant strains. a Cefuroxime is an exception. b Achieves therapeutic brain tissue concentrations. c Achieves therapeutic concentrations for Cryptococcus neoformans therapy. cerebrospinal fluid, cerebrospinal fluid. aAssumes adult cerebrospinal fluid volume = 150 mL. cerebrospinal fluid, cerebrospinal fluid. Ceftriaxone and cefotaxime may be used for penicillin-sensitive or intermediate-resistant isolates. Virtually all serotypes of S. pneumoniae exhibiting intermediate or complete resistance to penicillin are found in the current 23 serotype pneumococcal vaccine. A heptavalent congugate vaccine is available for use in infants between 2 months and 9 years of age. Current recommendations are for all healthy infants younger than 2 years of age to be immunized with the heptavalent vaccine at 2, 4, 6, and 12 to 15 months. 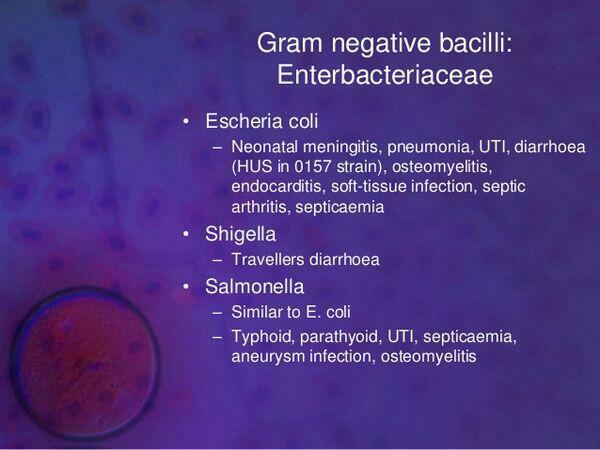 Currently, gram-negative bacteria are the fourth leading cause of meningitis. Optimal antibiotic therapies for gram-negative bacillary meningitis have not been fully defined. Meningitis caused by Pseudomonas aeruginosa is initially treated with ceftazidime or piperacillin, cefepime or meropenem plus an aminoglycoside, usually tobramycin. If the pseudomonad is suspected to be antibiotic resistant or becomes resistant during therapy, an intraventricular aminoglycoside (preservative-free) should be considered along with intravenous aminoglycoside. Intraventricular aminoglycoside dosages are adjusted to the estimated cerebrospinal fluid volume (0.03 mg of tobramycin or gentamicin per mL of cerebrospinal fluid and 0.1 mg of amikacin per mL of cerebrospinal fluid every 24 hours). Ventricular levels of aminoglycoside are monitored every 2 or 3 days, just prior to the next intraventricular dose, and «trough levels» should approximate 2 to 10 mg/L. Gram-negative organisms, other than P. aeruginosa, that cause meningitis can also be treated with a third-generation cephalosporin such as cefotaxime, ceftriaxone, or ceftazidime. In adults, daily doses of 8 to 12 g/day of these third-generation cephalosporins or 2 g of ceftriaxone twice daily should produce cerebrospinal fluid concentrations of 5 to 20 mg/L. Therapy for gram-negative meningitis is continued for a minimum of 21 days. cerebrospinal fluid cultures may remain positive for several days or more on a regimen that will eventually be curative. In the past, H. influenzae was the most common cause of meningitis in children 6 months to 3 years of age, but this has declined dramatically since the introduction of effective vaccines. The disease is often a complication of primary infectious involvement of the middle ear, paranasal sinuses, or lungs. Approximately 30% to 40% of H. influenzae are ampicillin resistant. For this reason, many clinicians use a third-generation cephalosporin (cefotaxime or ceftriaxone) or chloramphenicol with ampicillin for initial antimicrobial therapy. Once bacterial susceptibilities are available, ampicillin may be used if the isolate proves ampicillin sensitive. Secondary cases may occur within 30 days of the index case, and so treatment of close contacts (household members, individuals sharing sleeping quarters, crowded confined populations, day care attendees, and nursing home residents) of patients is usually recommended. The goal of prophylaxis is to eliminate nasopharyngeal and oropharyngeal carriage of H. influenzae. Prophylaxis of close contacts should be started only after consultation with the local health department. In general, children should receive 20 mg/kg (maximum 600 mg) and adults 600 mg daily in one dose for 4 days. Fully vaccinated individuals should not receive prophylaxis. Vaccination with H. influenzae type b (HIB) conjugate vaccines is usually begun in children at 2 months. The vaccine should be considered in patients older than 5 years with sickle cell disease, asplenia, or immunocompromising diseases. L. monocytogenes is a gram-positive diphtheroid-like organism and is responsible for 8% of all reported cases of meningitis. The disease affects primarily neonates, alcoholics, immunocompromised patients, and the elderly. The combination of penicillin G or ampicillin with an aminoglycoside results in a bactericidal effect. Patients should be treated for 2 to 3 weeks after defervescence to prevent the possibility of relapse. Trimethoprim-sulfamethoxazole may be an effective alternative because adequate cerebrospinal fluid penetration is achieved with these agents. M. tuberculosis var. hominis is the primary cause of tuberculous meningitis. Tuberculous meningitis may exist in the absence of disease in the lung or extrapulmonary sites. Upon initial examination, cerebrospinal fluid usually contains 100 to 1000 white blood cell/mm3, which may be 75% to 80% polymorphonuclear cells. Over time, the pattern of WBCs in the cerebrospinal fluid will shift to lymphocytes and monocytes. Isoniazid is the mainstay in virtually any regimen to treat M. tuberculosis. In children, the usual dose of isoniazid is 10 to 20 mg/kg/day (maximum 300 mg/day). Adults usually receive 5 to 10 mg/kg/day or a daily dose of 300 mg. Supplemental doses of pyridoxine hydrochloride (vitamin B6), 50 mg/day, are recommended to prevent the peripheral neuropathy associated with isoniazid administration. The CDC recommends a regimen of four drugs for empiric treatment of M. tuberculosis. This regimen should consist of isoniazid, rifampin, pyrazinamide, and ethambutol, 15 to 20 mg/kg/day (maximum 1.6 g/day)for the first 2 months generally followed by isoniazid plus rifampin for the duration of therapy. Concurrent administration of rifampin is recommended at doses of 10 to 20 mg/kg/day (maximum 600 mg/day) for children and 600 mg/day for adults. The addition of pyrazinamide (children and adults, 15 to 30 mg/kg/day; maximum in both, 2 g/day) to the regimen of isoniazid and rifampin is now recommended. The duration of concomitant pyrazinamide therapy should be limited to 2 months to avoid hepatotoxicity. Patients with M. tuberculosis meningitis should be treated for a duration of 9 months or longer with multiple-drug therapy, and patients with rifampin-resistant strains should receive 18 to 24 months of therapy. The use of glucocorticoids for tuberculous meningitis remains controversial. The administration of steroids such as oral prednisone, 60 to 80 mg/day, or 0.2 mg/kg/day of intravenous dexamethasone, tapered over 4 to 8 weeks, improve neurologic suquelae and survival in adults and decrease mortality, long-term neurologic complications, and permanent sequelae in children. In the United States, cryptococcal meningitis is the most common form of fungal meningitis and is a major cause of morbidity and mortality in immunosuppressed patients. Fever and a history of headaches are the most common symptoms of cryptococcal meningitis, although altered mentation and evidence of focal neurologic deficits may be present. Diagnosis is based on the presence of a positive cerebrospinal fluid, blood, sputum, or urine culture for C. neoformans. cerebrospinal fluid cultures are positive in greater than 90% of cases. Amphotericin B is the drug of choice for treatment of acute C. neoformans meningitis. Amphotericin B, 0.5 to 1 mg/kg/day, combined with flucytosine, 100 mg/kg/day, is more effective than amphotericin alone. In the AIDS population, flucytosine is often poorly tolerated, causing bone marrow suppression and gastrointestinal distress. Due to the high relapse rate following acute therapy for C. neoformans, AIDS patients require lifelong maintenance or suppressive therapy. The standard of care for AIDS-associated cryptococcal meningitis is primary therapy, generally using amphotericin B with or without flucytosine followed by maintenance therapy with fluconazole for the life of the patient. Meningitis is typically characterized as being either purulent or aseptic. While purulent meningitis refers to a bacterial etiology, aseptic meningitis historically was defined by diagnosis of exclusion. Common signs in adults include headache, mild fever (less than 40В°C), nuchal rigidity, malaise, drowsiness, nausea, vomiting, and photophobia. Only fever and irritability may be evident in the infant, and meningitis must be ruled out as a cause of fever when no other localized findings are observed in a child. Laboratory examination of cerebrospinal fluid usually reveals a pleocytosis with 100 to 1000 WBCs/mm3, which are primarily lymphocytic; however, 20% to 75% of patients with viral meningitis may have a predominance of polymorphonuclear cells on initial examination of the cerebrospinal fluid, especially in enteroviral meningitis. Acyclovir is the drug of choice for herpes simplex encephalitis. In patients with normal renal function, acyclovir is usually administered as 10 mg/kg every 8 hours for 2 to 3 weeks. Herpes virus resistance to acyclovir has been reported with increasing incidence, particularly from immunocompromised patients with prior or chronic exposures to acyclovir. The alternative treatment for acyclovir-resistant herpes simplex virus is foscarnet, which must be individualized for renal function.